Chrome plated brass with ceramic discs. Working pressure 0.2-6.0 bar. Height as fitted 111mm. 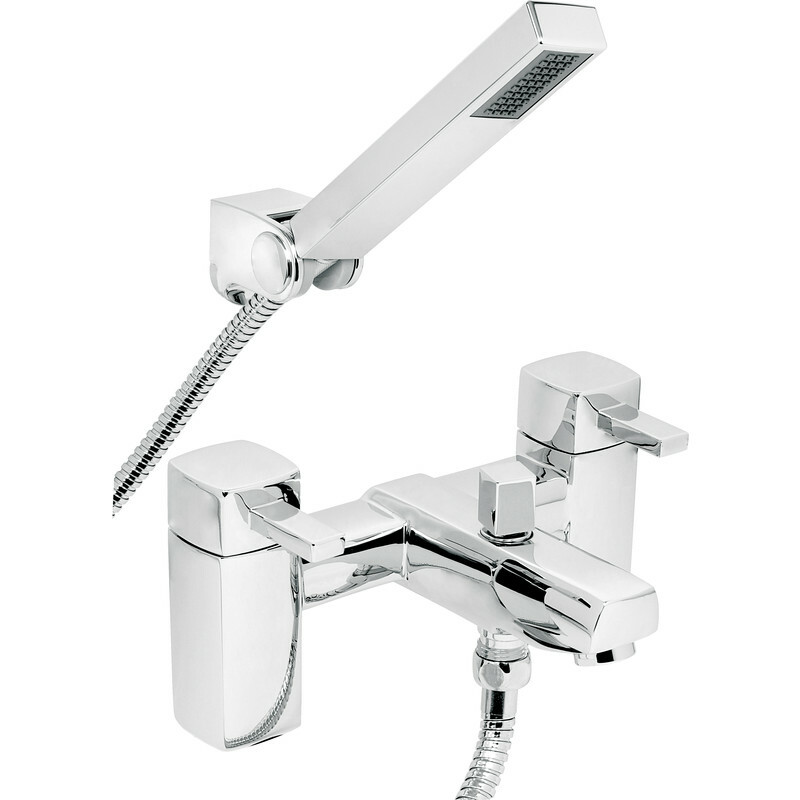 Quartz Bath Shower Mixer Tap is rated 5.0 out of 5 by 1. Rated 5 out of 5 by miss kassi from Modern, Works Great I had this fitted last week and could not be more pleased. The cube design is modern and looks like the expensive ones from bath shops. This mixer tap works well with low water pressure. To change from tap to shower function, the little cube knob needs to be lifted and twisted.